Demo students are used for checking anything in your course which requires a students view. The demo student also allows you to check against grades schemes or rubrics. 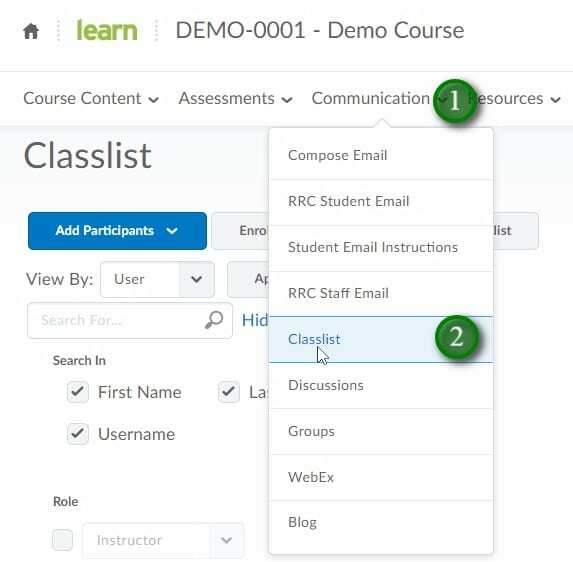 To request a demo student be added to a course simply email LEARN support at learn@rrc.ca, please be sure to include the name of the course you wish to have the demo student added to. You are now able to view the course as a student completing assessments, viewing feedback, viewing the gradebook etc. 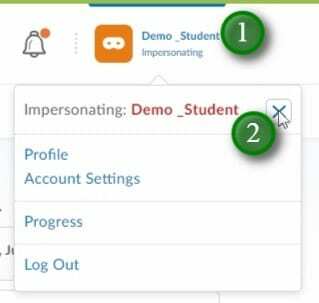 Note that release conditions based on content viewed will not be activated by impersonating a demo student. 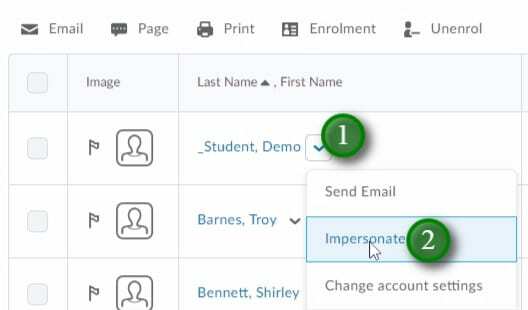 When done impersonating the demo student, click the demo students name in the upper right-hand corner of the page (1) and click the “X” beside “Impersonating: Demo _Student” (2).